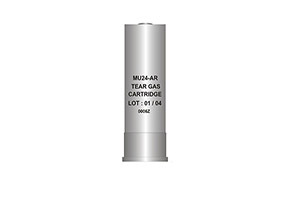 MU53 AR USE	:This cartridge can be used in the cal. 44 mm rifle. 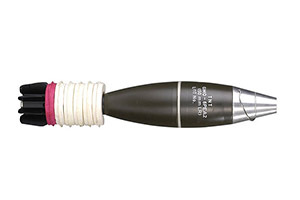 CARTRIDGE ÃƒÂ¢Ã¢â€šÂ¬Ã‚Â¢	Weight :115 g. ÃƒÂ¢Ã¢â€šÂ¬Ã‚Â¢	Case	: Red colour Plastic. ÃƒÂ¢Ã¢â€šÂ¬Ã‚Â¢	Propellant : Smokeless Powder ÃƒÂ¢Ã¢â€šÂ¬Ã‚Â¢	Charge	: Composition CS Powder CHARACTERISTICS ÃƒÂ¢Ã¢â€šÂ¬Ã‚Â¢	Delay time : 3-5 second ÃƒÂ¢Ã¢â€šÂ¬Ã‚Â¢	Range	: min. 50 m. ÃƒÂ¢Ã¢â€šÂ¬Ã‚Â¢	Safety distance	: min. 5 m. ÃƒÂ¢Ã¢â€šÂ¬Ã‚Â¢	Area effect	: min. 6 m. ÃƒÂ¢Ã¢â€šÂ¬Ã‚Â¢	Contamination effect	: Imitation at eyes and skin. 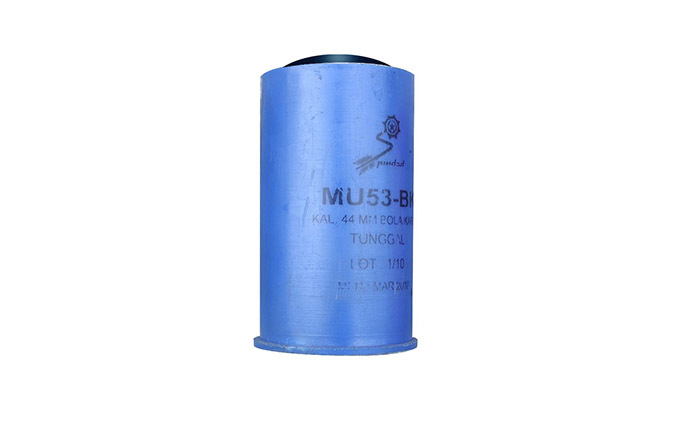 MU53 AR A1 USE	:This cartridge can be used in the cal. 44 mm rifle. 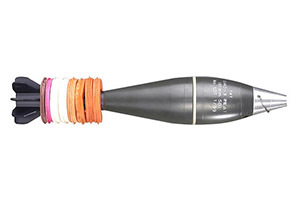 CARTRIDGE ÃƒÂ¢Ã¢â€šÂ¬Ã‚Â¢	Weight :160 g. ÃƒÂ¢Ã¢â€šÂ¬Ã‚Â¢	Case	: Yellow colour Plastic. 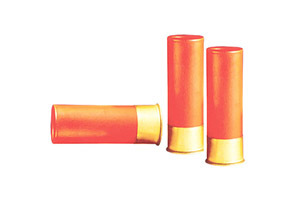 ÃƒÂ¢Ã¢â€šÂ¬Ã‚Â¢	Propellant : Black Powder ÃƒÂ¢Ã¢â€šÂ¬Ã‚Â¢	Charge	: Composition CS smoke, weight 60 g. CHARACTERISTICS ÃƒÂ¢Ã¢â€šÂ¬Ã‚Â¢	Range	: min. 50 m. ÃƒÂ¢Ã¢â€šÂ¬Ã‚Â¢	Emission	: min. 20 second ÃƒÂ¢Ã¢â€šÂ¬Ã‚Â¢	Area effect	: min. 6 m. ÃƒÂ¢Ã¢â€šÂ¬Ã‚Â¢	Contamination effect	: Irritation at eyes and skin.